JUST SIT BACK AND KICK YOUR FEET UP. All the hard work and expense of renovating this home has been done. The owners have poured an incredible amount of love and money to restore this rock home. They took the vision of what it could be and made it a reality. This 3 bedroom home sits just off the road and when the sun sets you can enjoy the most beautiful sunsets from the large picture window. The rolling terrain across the road makes for a nice scenic view for miles. 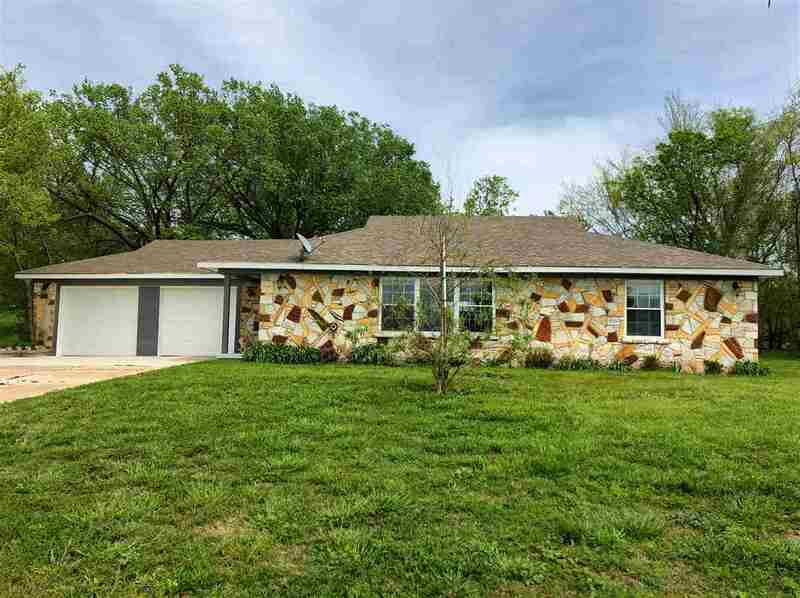 From the front of the house you can enjoy the Arbuckle Mountains off in the distance. With 4.62 acres you have some elbowroom from your neighbors and room for horses if your heart desires. The minute you enter the front door you will appreciate the open floor plan with living room, dining and remodeled kitchen. The kitchen offers an abundance of counter space and a window over the sink is strategically placed so you can watch the birds while doing dishes. All the kitchen appliances are stainless. The backyard has a privacy fence and makes for a nice place to entertain or relax after a long day. Adjacent to the house is a metal shop that can be purchased as a package with the house or sold separately. The shop was constructed in 2018 and has 2, 000 square feet and two roll up doors that are 12x12 each. The concrete slab floor is 6 inches deep and the entire building has spray foam insulation (R19). This building does have its own SOWC water meter and membership will transfer with sale. The front of the building has an office area with bathroom/ shower. This could very easily be converted into a studio apartment. The building has also been equipped with 3 phase electrical wiring. (120-120-213) The perimeter of the shop area is high fenced and has a gravel drive and gravel parking area. At the front and back are lean-tos for additional parking. Don't settle for the ordinary! Give us a call today to schedule a showing.